This post is part of a series of guest posts on GPS by the undergraduate and graduate students in my Science vs. Pseudoscience course. As part of their work for the course, each student had to demonstrate mastery of the skill of “Educating the Public about Pseudoscience.” To that end, each student has to prepare a 1,000ish word post on a particular pseudoscience topic, as well as run a booth on-campus to help reach people physically about the topic. Alcoholics Anonymous (AA) is a self-help group, a fellowship of individuals who have drinking problems. Their self-help 12-step recovery method has been deeply ingrained in society as the key method for treating addiction since the program’s inception in 1935. The effectiveness of this program is so widely accepted that courts will mandate that people with alcohol abuse disorders attend AA meetings. Individuals attend group meetings and work to straighten out their lives by following and practicing the 12-steps developed by the founders of the group Bill W. and Dr. Bob. Unfortunately the public’s belief that 12-step programs are the way to cure addiction is founded on shaky science and anecdotal evidence. The sharing of our sins and temptations with another Christian life given to God, and to use sharing as witness to help others, still unchanged, to recognize and acknowledge their sins. Surrender of our life, past, present, and future, into God’s keeping and direction. Listening to, accepting, relying on God’s Guidance and carrying it out in everything we do or say, great or small. 6. Working with others to spread the word. The 12-steps of AA continue on this religious path, with 7 of the 12 step referencing God or (Him). So, while AA claims to be agnostic, the founding principles of the 12 steps are deeply religious, frequently referring to God and one’s relationship with God as central to recovery. Multiple steps tell you to give yourself over to God in order to be healed. There is no sound scientific medical practice in the 21st century that says you need to give yourself up to God for recovery to work. Yet, regularly, this is what people with substance use disorders are told to do if they want to get better. Recovery based on religious principles and prayer may be important for some, but can leave many uncomfortable and inadequately equipped with tools to remain or become sober. One survey showed that 66% of former AA members disliked the religious aspects, and over half found it to be the least helpful aspect of the program. According to the AA triennial survey, 76% of their membership has been sober for over a year. Unfortunately, outside research on AA indicates a significantly different picture with success rates only between 5-20%. Keep in mind spontaneous recovery happens in 26.2% of individuals with alcohol abuse disorder. Even with this low success rate, 40% of its members were referred to AA by a health care professional and 12% were court mandated to attend. This begs the question do the courts and health professionals truly understand the recovery model that they are sending people to. 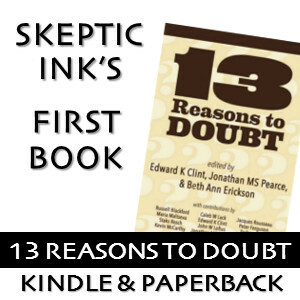 In addition to the religious aspect of the AA there are several other fundamental problems with the 12- steps that run counter to what is established as good therapeutic practice. According to AA their program never fails. This is simply not true. Given the low recovery rate of individuals in AA and overall recovery rates of individuals in different treatment approaches, it is evident that alternative treatment methods are effective even where AA failed. In most of medicine if one treatment method fails you try another. In AA this is not so. If you are unsuccessful in the program you are a failure. People who leave the program or who may voice their reservations are often told that they just may not be ready to stop drinking, or that they just haven’t hit bottom yet. 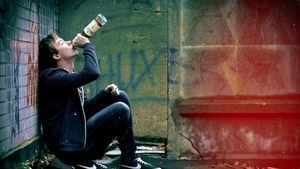 In the program people are often warned that without AA they will inevitably return to self-destructive drinking and ruin what’s left of their lives. So when people leave AA, and a large percentage do, it is with the knowledge that they are a failure and are doomed to a life of alcoholism. This does not seem like the best therapeutic combination. The next problem of the 12 steps lays in step one in which a person must admit that they are powerless. Yet self-efficacy has been shown through science to lead to improved recovery outcomes. Self-efficacy is a person’s belief in their power/ability to succeed in certain situations. One example would be a person’s belief in their ability to meet the challenge of overcoming addiction. Instead of relying on the 12-step model of recovery it is time that medical and legal professionals look to scientifically validated models of treatment. Current treatment options for alcohol use disorders range from cognitive behavioral therapy and contingency management to psychopharmacological treatments such as naltrexone. This way people’s chance of success would be better than spontaneous recovery and their sense of self worth may remain intact. the message I get from, at least from TV shows, AA helps people to build the confident to treat alcohol addition, but the effect is often little. I liked how you put the “six main tenants” on your post. I agree not many doctors actually know what the steps are, when they decide to suggest that their patients attend these meetings. It is almost as if society (medical and legal) has pushed alcoholic’s to a group just so they no longer have to deal with these problems that their clients/patients are struggling to overcome. The 12 step program is not an antibiotic that will cure alcoholism. The program makes individuals dependent on the people and addicted to the program itself. So, the addicts are trading one addition (drugs, alcohol, gambling, ect…) for the addiction of the group meetings. Taking individual power away sounds like a “cult” to me. I like how you mention “self-worth”. Great post. I think it was interesting how you pointed out that if people fail AA they feel even worse about themselves than they did before. This shouldn’t be the case with treatment. If a medication doesn’t work an individual should be able to move onto something else without feeling like a failure. This is substantially significant considering that AA is a support system and it sounds like they are extremely ostracizing if anyone does “fail” the program. I am shocked that this is touted as an effective method for treating alcoholism. I do not understand how a person can gain any sense of control over their behavior and life, especially when the treatment is asking him or her to give up something he or she feels is lacking in the first place. Very disturbing, indeed. I tend to agree with you on the subject of giving up control. It seems that teaching people how to foster their own discipline and self-control would be a much better solution when it comes to programs like AA, as opposed to giving everything up to a higher power and going with whatever happens. But in the end, either way, they still have to make the daily (or numerous times a day) decision whether to take that drink or stay sober. I was surprised at the low success rate that you found for AA, since it is so widely accepted. I suppose one would become desperate for treatments in such a circumstance though. It’s really unfortunate that individuals in desperate need of treatment are being taken advantage of. A friend of mine attends AA meetings and from my understanding from what they have said, it depends on the person and how dedicated they are to the program on whether long-term recovery is possible. That being said, recovery is possible without AA, but many say AA is the only way. One should try all different forms of recovery and see which meets their own person needs. Also, AA as you have stated is a christian recovery program, when in fact it has become a spiritual based program with each individuals own understanding of a “God” of their choice. Some members use nature as their “higher power” rather then the traditional Christian Jesus, so it really just varies on the individual. Great post. think that even God couldn’t help them. It seems that the principles of AA are specious at best, and outright proselytizing as well. I would venture a guess that the aspects of the program that actually work are the support networks and ad hoc group therapy sessions. I actually find it rather insulting that they would suggest that an individual cannot find the strength and character within him/herself and must turn to some made-up deity instead. I can’t say that I’ve researched much about AA, so this post was very interesting. It’s hard to believe that part of the program’s statement says that “Those who do not recover are people who cannot or will not completely give themselves to this simple program, usually men and women who are constitutionally incapable of being honest with themselves…” What an ignorant statement. I also get the feeling that it is an “AA or nothing” kind of deal. It seems kind of fear based in a way for the people in it or for people who leave by telling them that without AA they basically have no chance. Also, you’d think that when people leave, they’d be given as many tools (or encouragement… something!!) as possible to help them on their journey… instead all they leave with is diminished self worth/confidence. It’s hard to understand how something like this, with all of the issues mentioned in your post, has gained so much “respect” (I use that loosely) and grown to as big of a program as it is. Great post. 12 steps is a nice thought…however I have known a few alcoholics in my life and it’s interesting to me that those who seem to relapse the most are those involved with AA. Because of this, I have always questioned the legitimacy of the program but never really researched much in to in. This was a very well done and interesting read – it definitely explained a lot! I never knew AA was religion-based. Is this consistent with every program that uses these steps? I imagine that success rates are low in just about any recovery problem. From what I’ve seen, success rates are generally shown in people who have hit rock bottom and have nowhere else to go. Not many people are going to willingly go to whatever source of rehab you want to call it. It’s interesting that you picked AA out of all of the programs. I would think that the religious nature of the intervention would be offputting to some, discounting the programs ineffectiveness in the first place of course. It makes me wonder if anyone does focus group type research for these kinds of things. Good post. The methods of the AA programs are clearly going against everything we know about cognition. For example, you had mentioned that self-efficacy is an essential part in recovery, yet we are making these group members state that they are failures. Seems a bit opposite, right?